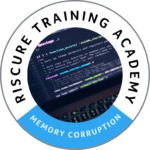 This course provides a thorough guide to memory corruption issues. We cover arbitrary writes, the most severe type of memory corruption vulnerabilities, the classic buffer overflows and the subtle off-by-one vulnerability. We discuss the culprits for introducing memory corruption and techniques to systematically discover vulnerabilities. In the final section, we close with coding best practices. Are you a seasoned programmer, who wants to know about memory corruption vulnerabilities? If yes, this course is for you! Start with the basic buffer overflows and expand your knowledge of secure coding practices! This course is online, available for you anywhere, anytime. We are working hard on creating a novel experience with learning about software vulnerabilities, for an engaging experience we created interactive content with many illustrative examples. Click on the image below to experience the look and feel of our online training. This free demo is a real part of the second section of the training course, focused on buffer overflows.